It’s time we gave Father’s Day the recognition it deserves, which is often overshadowed by its counterpart, Mother’s Day. With our help, dads will no longer have to feign interest in yet another pair of socks, despite how comfortable or fashionable they may claim to be on the box! 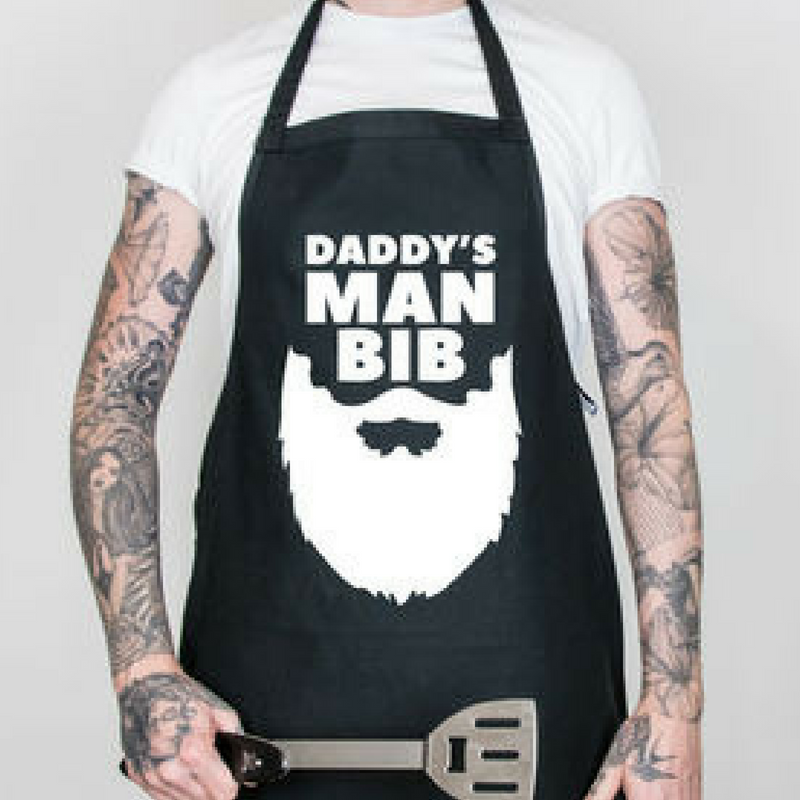 If you’re still unsure of what to get your dad, we’ve got gifts for every occasion. These luxurious, top-quality products are perfect as a present for Father’s Day this year. 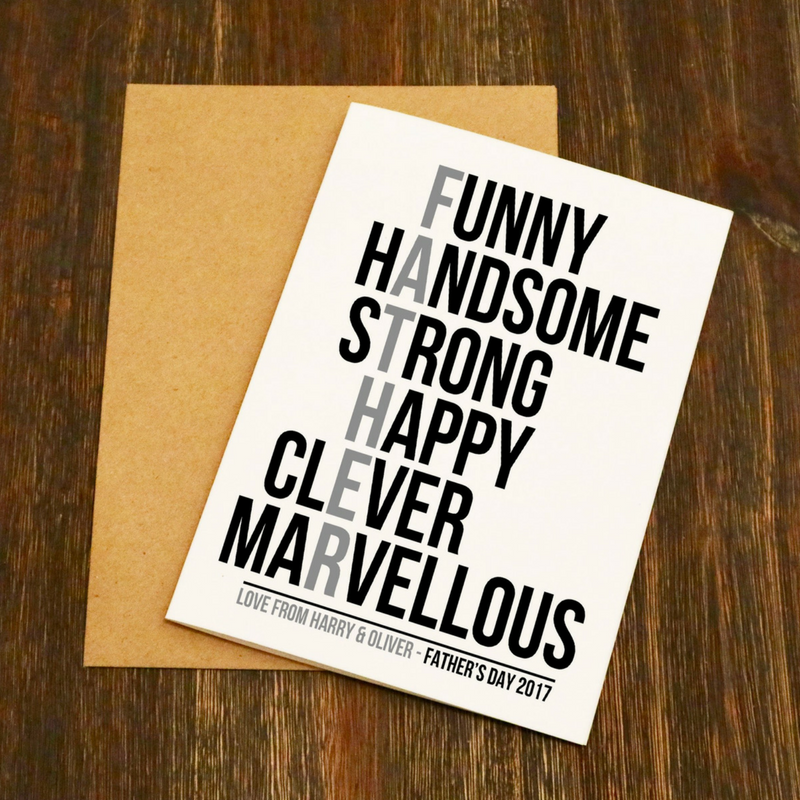 As such, we have created a guide to Father’s Day presents for all types of dads. From must-have gadgets to once in a lifetime experiences, we’ve got Father’s Day covered! Still waiting for inspiration to strike? 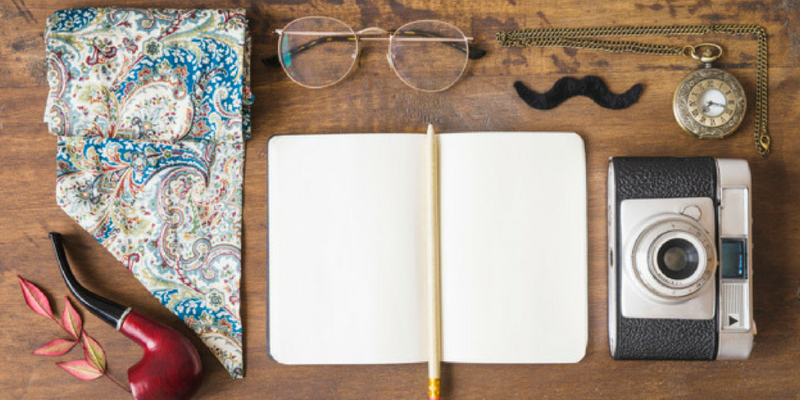 Check out our guide below to find a gift that your dad can use time and time again! Hey, what dad doesn’t have a few spuds in his favourite pair of socks! Don’t just get him a boring 5 pack from the nearest supermarket though, show a bit more thought if you can and a grab him a funky, single pair of socks, personalised or with an apt message – this will remind him of you every time he puts them on and bring a smile to his face. 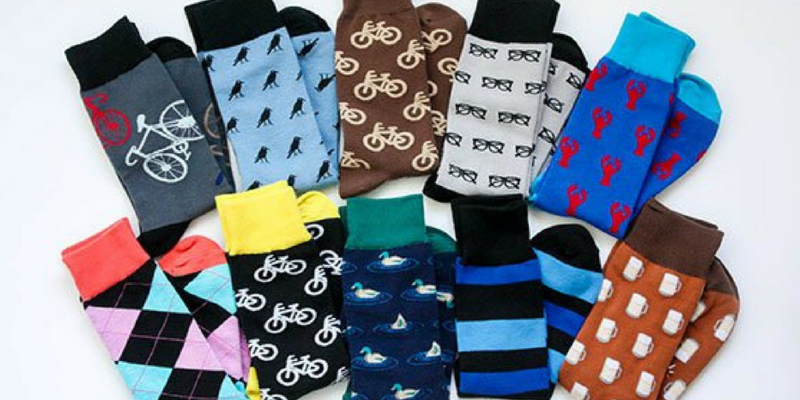 Treat him to some new socks, which will make a perfect present for any Dad. From personalised and novelty styles, to sporty and luxurious socks, pick out a pair or two that will make him think of you every time he puts them on. Get the perfect Father’s Day gift to show your dad just how much you care. 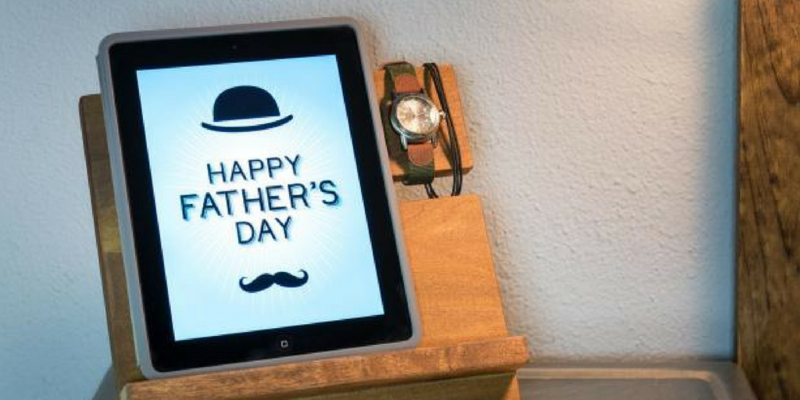 A custom message photo frame is one of the most personal things you can give your Dad. This will show you’ve really planned and executed a very thoughtful present. If you get it right, it will go up on the wall, be looked at and appreciated every day and will last a lifetime. Don’t just buy any frame mind, have a look around and buy something relevant to you and your family. 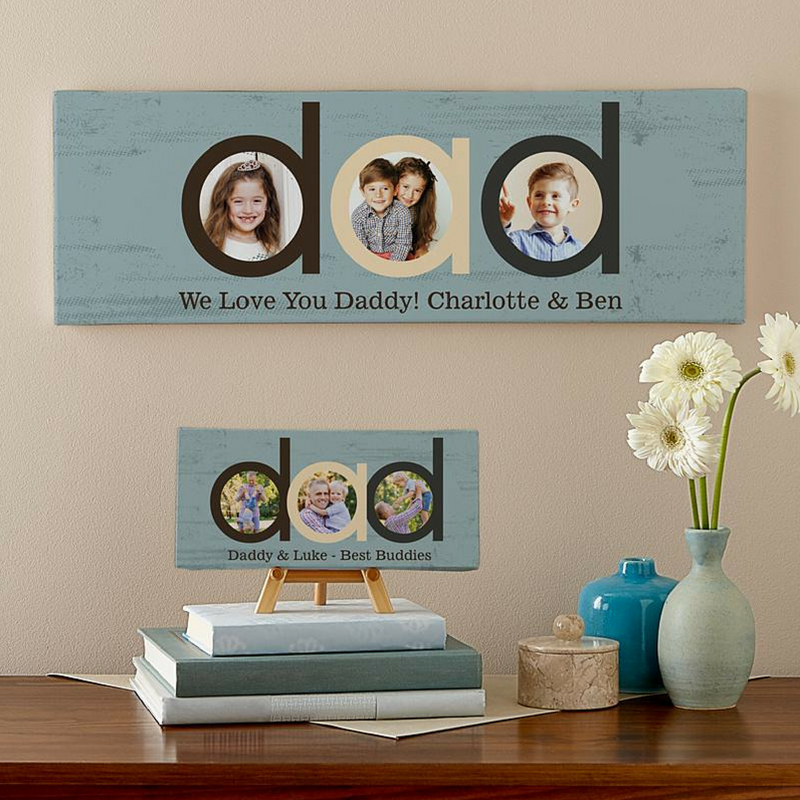 Choose something that will fit in readily to your father’s decor, then take some time to choose your photos then make this a really special gift that he will love looking at every time he passes it. Brighten up his day with a personalised photo frame. Need a gift quick? This can be done and ordered in minutes. Show dad how much he means to you with a truly one-of-a-kind gift. Are you looking for a Father’s Day gift that is a bit more interesting this year? 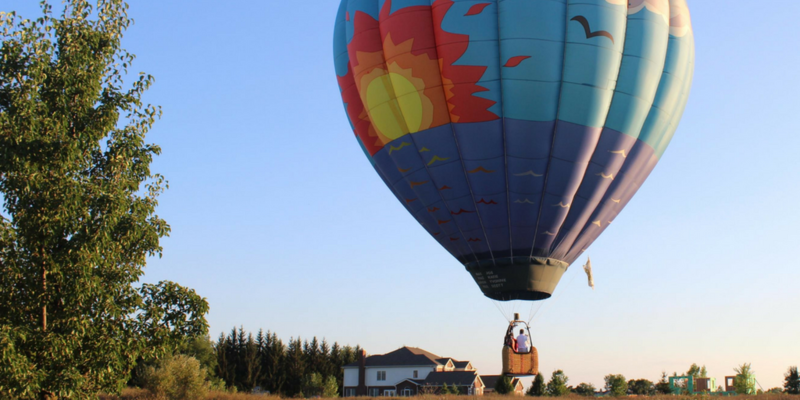 An air experience makes for an unforgettable present. Is flying a plane, something your dad has always dreamed of? If so, then this is THE perfect gift for him. There are so many different choices here, we could probably do another top 20 just within this one idea – from skydiving and driving experiences to wine tasting, cookery or glamping. He can drive, jump, dine and discover his way through the greatest Father’s Day gift there ever was. No matter what he’s into, there’s a day out for him to enjoy! Whatever his idea of a good time, or your budget, there’s almost definitely an option here that he’ll remember and talk about for a long time to come. What man doesn’t like to smell good eh? Not such a personal gift, but also not something a lot of dads will think to go out and buy for themselves. 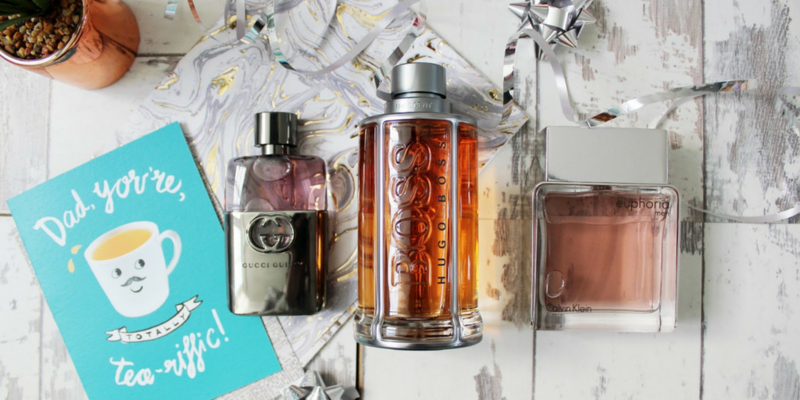 Whether he’s a sports lover, thrill seeker, foodie or just enjoys the finer things in life, you’re sure to find the perfect scent for your pops before the big day comes around. Dads may use the same jokes and share similar hobbies, but we bet your dear old dad is one in a million. Celebrate his individuality and distinct uniqueness opting for a Father’s Day gift idea that makes scents and perfectly matches his personality. Give Dad the gift of music! These days it’s all about online streaming and downloads, but I’m pretty sure your old man will still appreciate a CD, Vinyl or even a tape cassette if he’s still got something to play it on. There’s nothing quite like getting a physical copy of something in your hand. You know what he likes and it’s pretty easy to find a re-release, re-master, or live/acoustic version of an album which you know he’s played to death in the past, so show you’ve got your thinking cap on and deliver the goods – every time he plays it, he’ll think of you and if you get it right, that should be a lot! 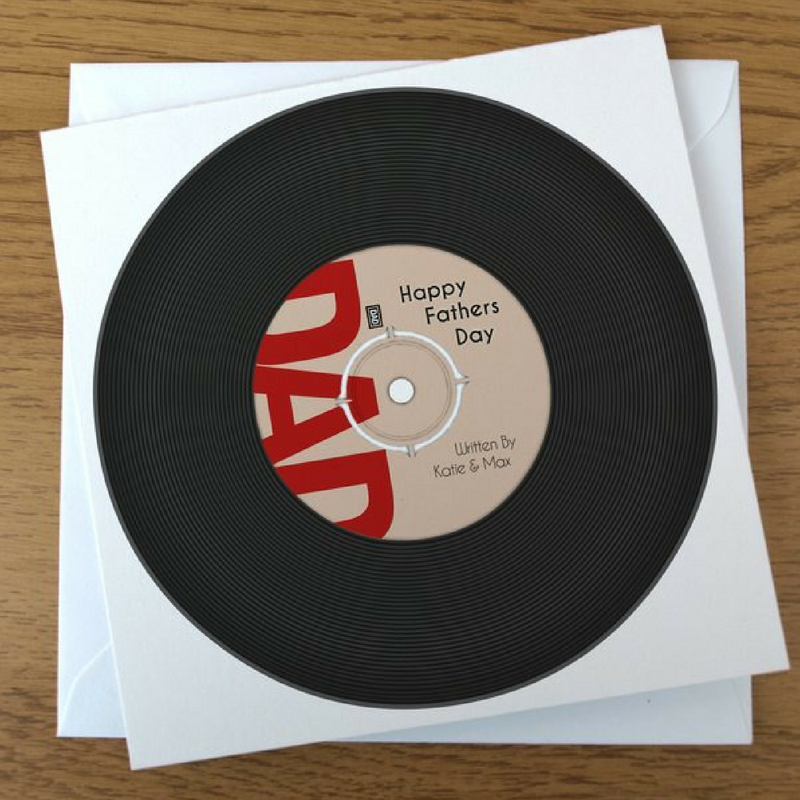 You could even make your dad a mix tape of his favourite songs, songs that remind you of him or even family favourites. 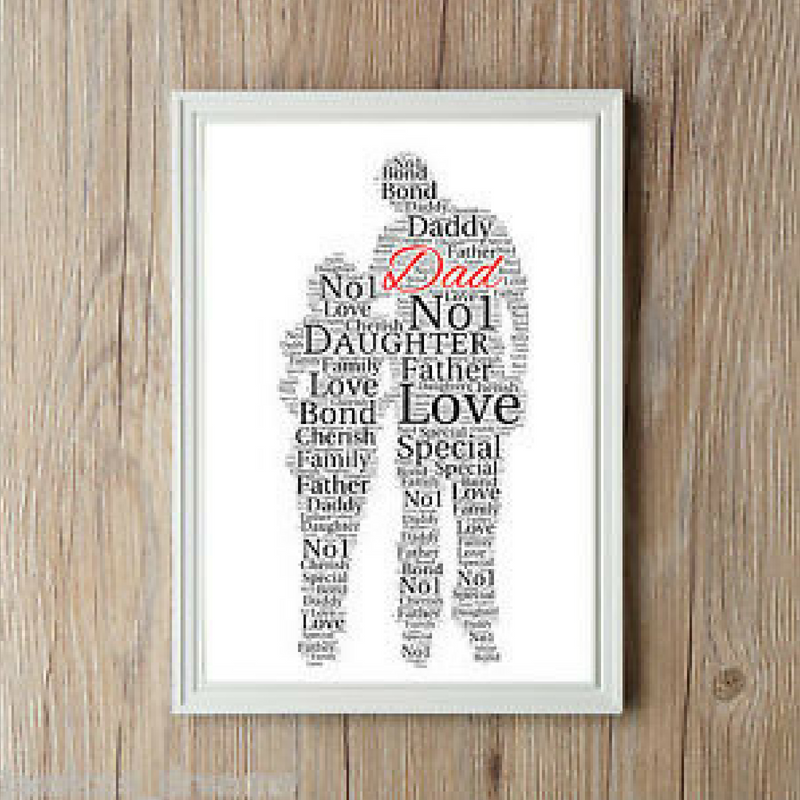 A wonderful present for Father’s Day, a personalised word art print will leave Dad or Grandad in no doubt about how much you love him! This is another quite personal idea to keep Dad delighted on Father’s Day and beyond. If you’ve got the best dad in the world, this is the perfect gift – this will show that you’ve thought about everything that makes your dad special. There are many websites that will take a bunch of words for you and an image and turn them into a personalised, one-off piece of Word Art for you. 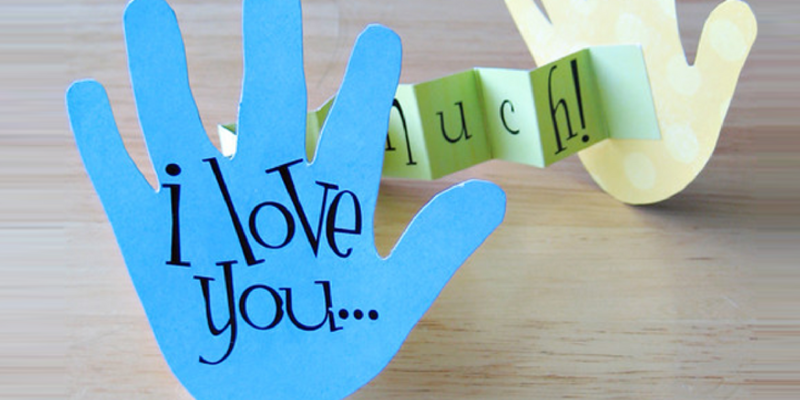 Your word art will be a hit with your dad and visitors too! Gaining a lot of attention and it’s hard not to stop and try and read what’s in it – kind of like a photo frame, but words can be very powerful, especially when presented in new and exciting ways. If your father is a concert maniac or if you’re looking to spend some quality time with him, you’re in luck. 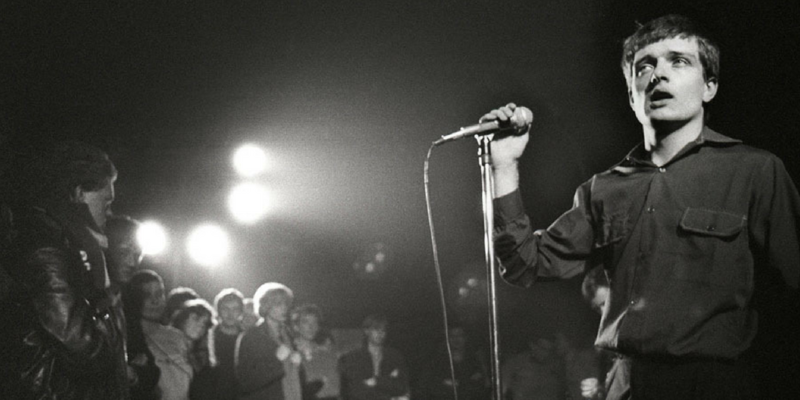 Look around hard enough and you’re bound to find that some of his favourite bands from back in the day are either still touring or even doing a reunion tour. If not, then you can usually find a tribute band where the experience would be almost as good (and undoubtedly better for your wallet too!). Hey, why not buy two and go with him to make the experience even more special – he’s probably dreamed about it when you were little, so help him fulfil this desire and show you really care… If he doesn’t like music too much, of course, you could look to things like stand-up comedy, theatre, sports or even spoken word events – there’s usually plenty on around the country at any time. 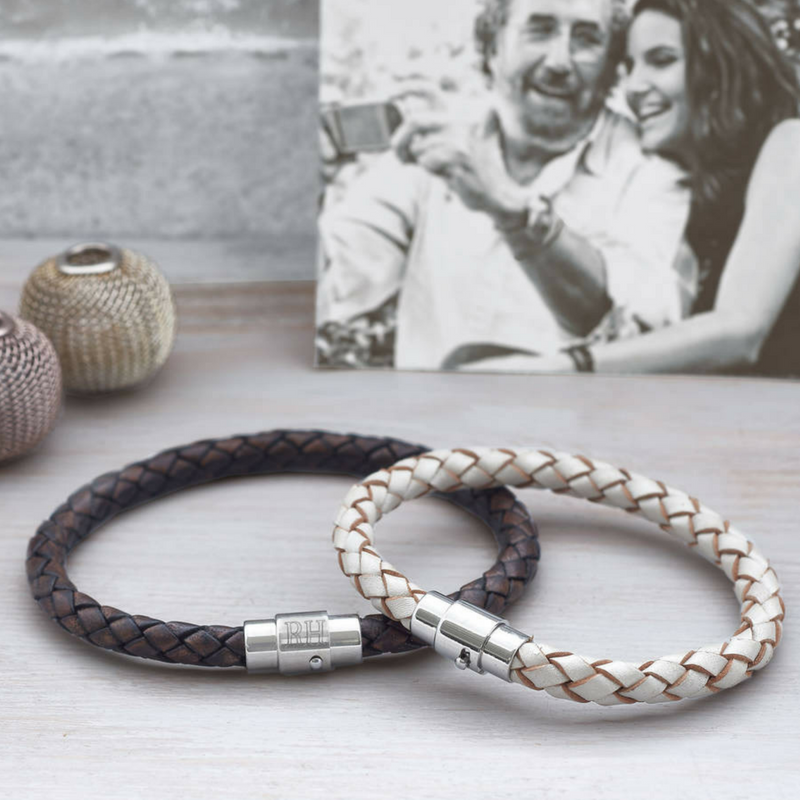 Show how much your dad means to you with a beautifully crafted watch, ring, bracelet etc. Again, something that should last forever and help remind him of you every time he wears it. Spend a little time and think about neck chains, cuff-links, bracelets, earrings or whatever he’s into that can be personalised to suit your Dad. Father’s Day is about spending time with the man who helped raise you. There’s no better way to do that than over a good red wine. Unless he’s not a drinker, we expect the old man appreciates a nice drop of plonk now and again. Of course, a nice sparkling bottle of champers always goes down a treat too on Celebration Days if your budget will stretch that far. Or if your pop is more of a beer fan, your options are endless. 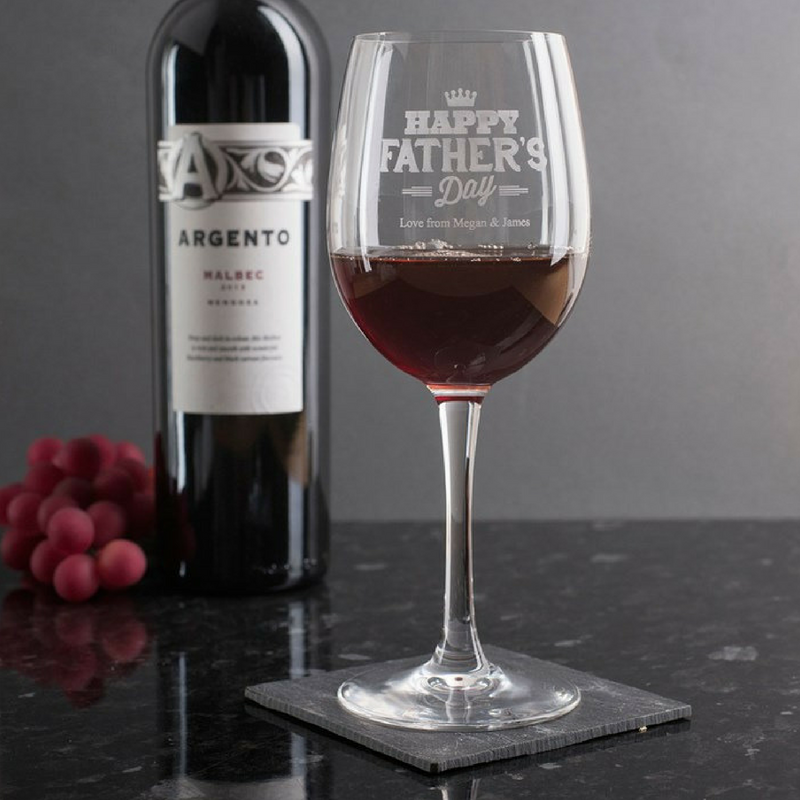 Shower your dad with drinking gifts that will tempt his taste buds! If he’s partial to a bit of haute cuisine, why not treat him to a nice night out and a special meal? We’re sure you know what his favourite food is and can sort him out something nice and local, be it Indian, or fine dining! Hey, why not go the extra mile and offer to drop him and his plus 1 off and pick them back up again later so they don’t have to worry about driving or sorting a taxi? It is Father’s Day after all! There are sure to be a bunch of Father’s Day offers from many restaurants such as Dads eat free, half price or free beer. Be sure to dazzle dad and treat your old man to a slap-up meal at a top steak restaurant! Now, what bloke doesn’t like to add to his haul of electronic goodies! It’s likely that he’s either lagging behind in some department or another here or has something that needs upgrading… Whether or not he’s an Apple man, or Android, or none of the above, I’m sure there are some of the latest gadgets on offer that he’ll appreciate. A nice set of wireless headphones or a fitness watch perhaps? Maybe he’d prefer something like a telescope to look up at the stars with, or even a blender to make smoothies with… The world is your oyster here! Impress your tech-savvy Dad on June 17th with a brand-new gadget or two to make his life easier, or just more fun. 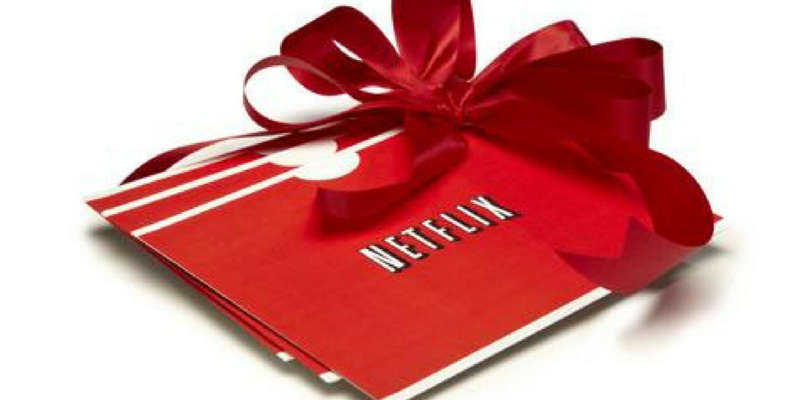 Why not give Dad something truly special this Father’s Day and set him up with his own Netflix account? As dads love doing nothing on Father’s Day, a movie night is a perfect gift. It combines two things they love: quiet and spending time with their perfect children ! What better way to spend Father’s Day than by watching movies on Netflix that remind you of your dad? Better yet, watch them together. Or if your dad isn’t much of a TV watcher, then how about paying for their Spotify subscription? Other ideas include Audible, Magazines or even food boxes! We all know men love their food. This can last for a year or so, then they can make up their own mind if they want to continue (or gives you an easy idea for the next year!). If you really can’t decide, then maybe give them the choice? 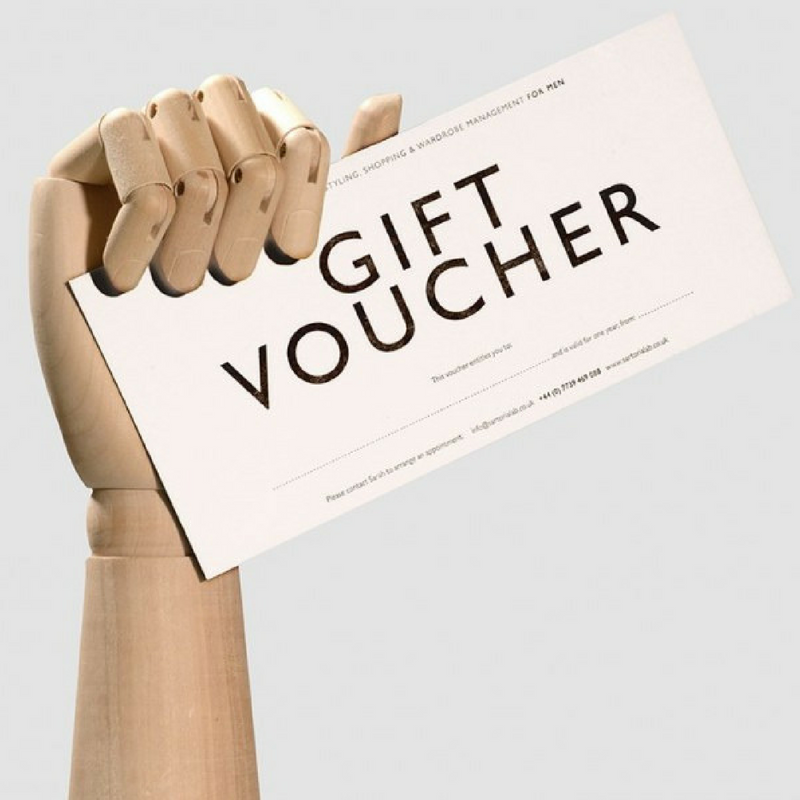 Most decent retailers have the option for gift vouchers, so they can come back at their leisure and choose something they really want, maybe something like a t-shirt or hoodie. You can even offer them a gift card for an experience like go-karting or golf. Maybe, they’d like to use their Father’s Day gift at a time when they want. This may seem like the ever so easy option. However, you’ve got to get the right shop, retailer or event for them to really enjoy it! Do you have any hands-on skills? Or maybe your kids do. There’s nothing like a homemade present. 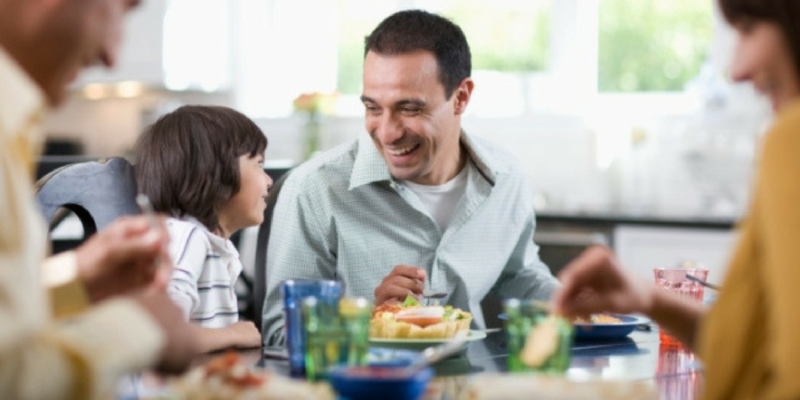 There are plenty of ideas that you can prepare with your child for their father. Simple handmade cards and pictures are some top choices! Even a homemade card makes a much bigger impression than a shop-bought one does. Homemade Father’s Day Gifts, made with love by kids, are the best and Dad will love receiving them. For when things get messy in the kitchen, we’ve got you covered – literally! 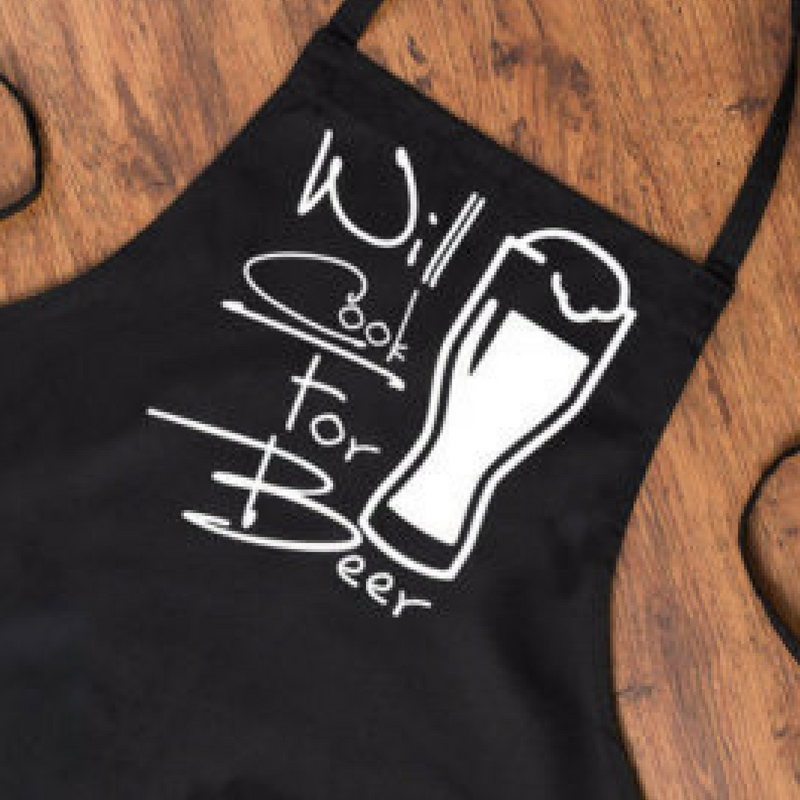 Whether a seasoned cook or an amateur trying to earn some ‘brownie points’, a cheeky apron will keep you dad clean and tidy in any kitchen situation. Show you’ve really thought about this and get him something that enhances one of his existing hobbies or interests. This is easy for most dads, due to their obsessive interest in vehicles, where they collect not only the vehicles but also everything to do with them! And so many Father’s Day presents revolve around these two subjects. Maybe, your dad is a musician and there are loads of accessories you can get for him! Give it a little think and you’ll be fine. What is your dad into? Do some searches online, then find the latest accessory or item that ties up with it. You really can’t go far wrong with this one, unless, like me on the odd occasion, you actually buy him something he’s already got of course! This one has got to be right up there! Without wanting to stereotype too much, pretty much all dads love power tools! Not only that, but there are always either new ones being released or some of his existing ones will be needing a replacement or upgrade at some point soon. A quick chat with mum should reveal what he’s been moaning about not working on (or owning!) lately… Or if all else fails, and your dad luckily has a sweet tooth… why not combine his two favourite things? 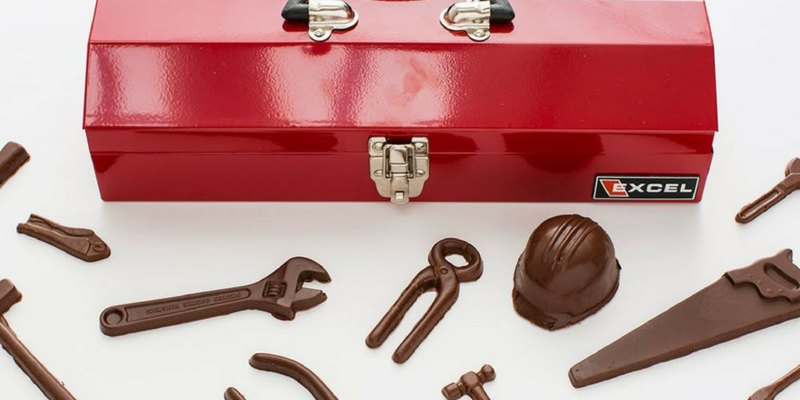 Tools and chocolates, to create his perfect Father’s Day gift this year! Now, you don’t even need to spend any money. 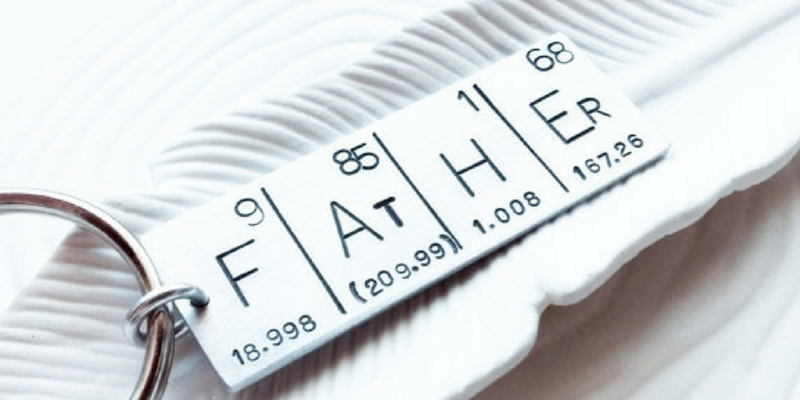 The best thing you can give your dad (trust us, we know!) is time! What does he love doing? What do you love doing together? Then just plan some time and do it! Dad will love it even if it’s just a walk by the river or in the park, some fishing, a day out at the races – whatever! 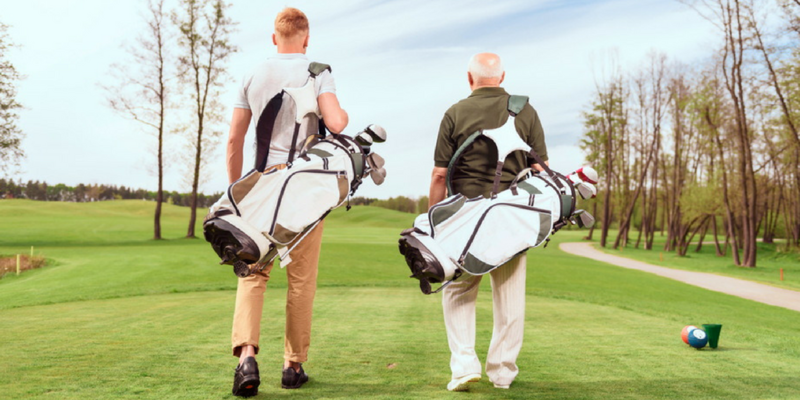 For every kind of dad, there’s a perfect Father’s Day activity for both of you to enjoy, you’ve just got to know the right one! 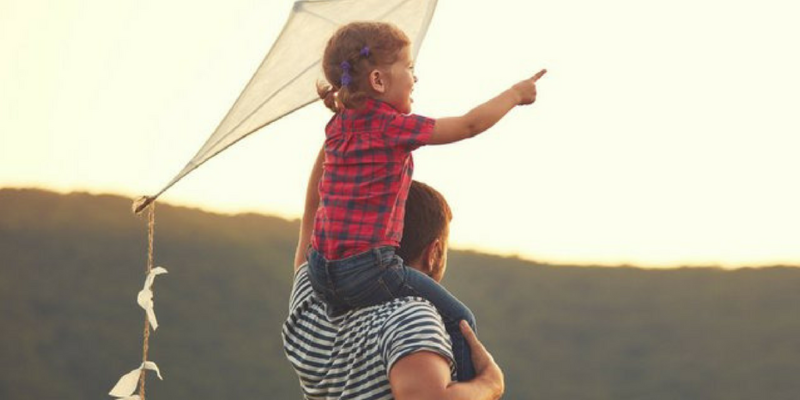 Bond with dad at a local fishing hole or make a weekend out of it at some of his favourite places, whatever you choose, we’re sure he’ll love it! So, there are, at any point in time, about a million and one new interests that Dad could be taking up. If you think he spends too much time sitting on the sofa watching TV, then this could be a fantastic idea that may benefit his health and well-being, as well as giving him something new to get excited about. Over the years, you must have heard him talk about things he wishes he’d done or is interested in – What does he watch on the telly, even that might give you a few clues… so let’s help our dads get more enjoyment & fulfilment out of their lives! 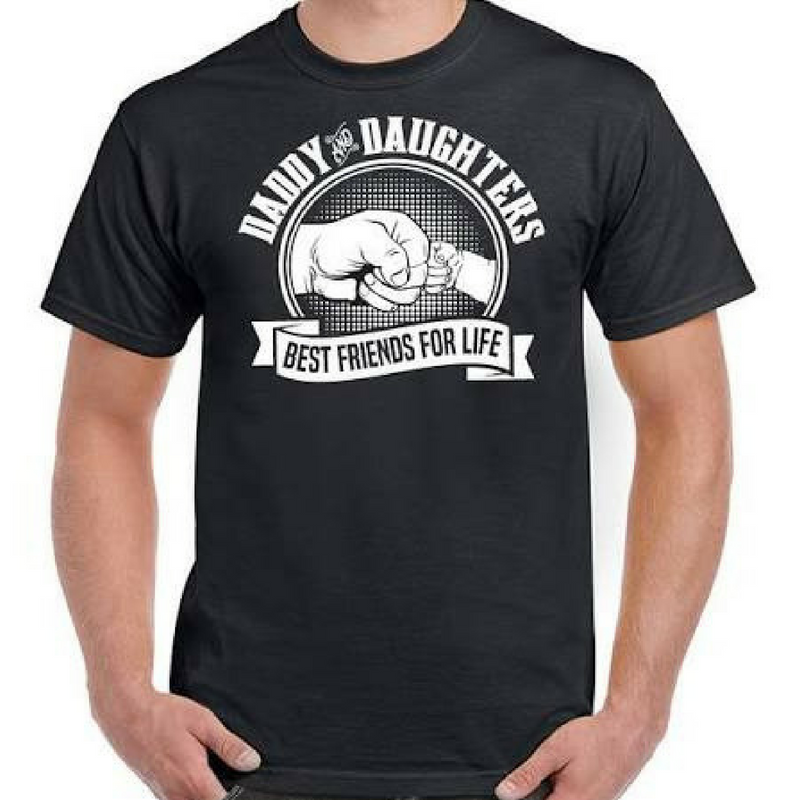 For Father’s Day have you thought of getting him a t-shirt? No, not just any plain old t-shirt… a funny one! 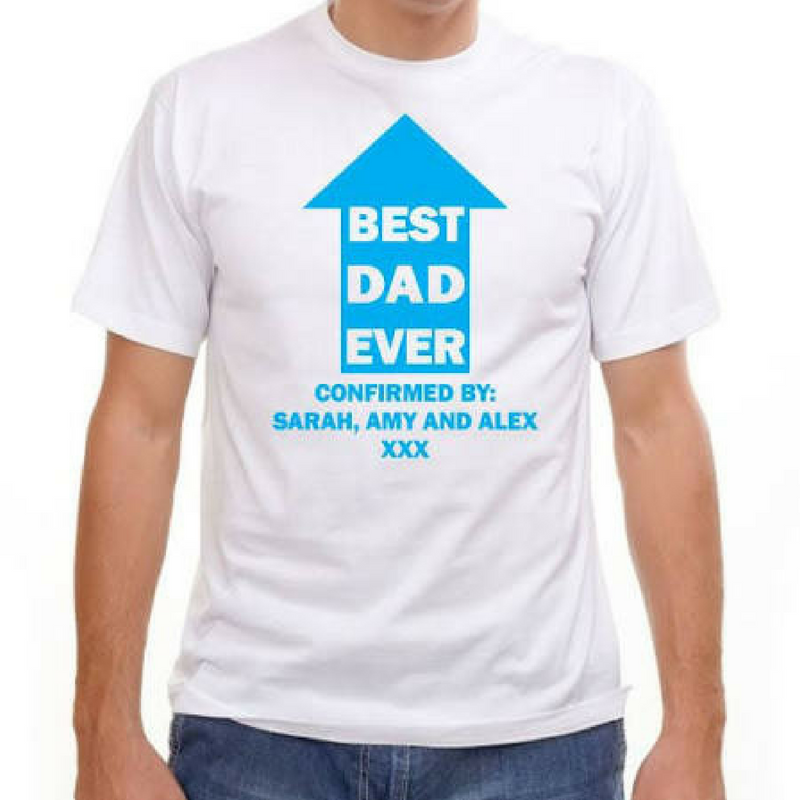 With funny t-shirts based on dads favourite things, such as yourself, superheroes, cooking etc, there are endless options. However, make sure you get the correct size as it would be embarrassing if your dad went to try it on and it couldn’t get past his wide shoulders. So, just give Mum (or someone else that would know) a quick call, confirm Dad’s t-shirt size and get shopping now! If after all that, you’re still stuck for ideas, discover more Father’s Day gift ideas here. Thoughts on Father’s Day Gifts? Hope you enjoyed this and it was of some use. Thanks, as always, to our readers – comments, questions, suggestions always welcome! If we have missed anything off, let us know in the comments below!